Anchor Jackie Fernandez got to know Artie Kokkas a little better over the weekend. Fernandez said Kokkas can usually be found inside The Grille cleaning the bar, making drinks or stacking orders. 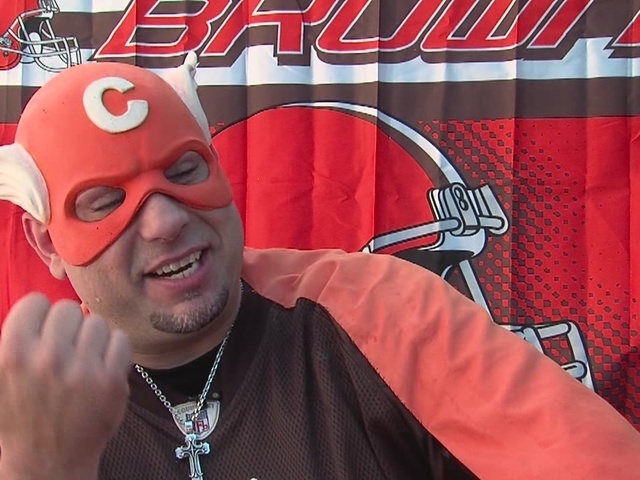 But, on game day Fernandez learned Kokkas becomes Captain Cleveland, complete with a mask and cape to show his Cleveland Browns pride. Kokkas told Fernandez he decided to become the superhero after LeBron James left Cleveland. Fernandez said Clevelanders who see the Captain believe he is a sign of hope.